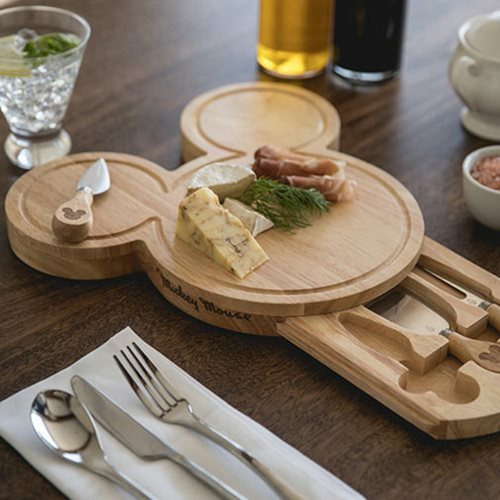 Cheese can only improve when served with magic of the most famous mouse. 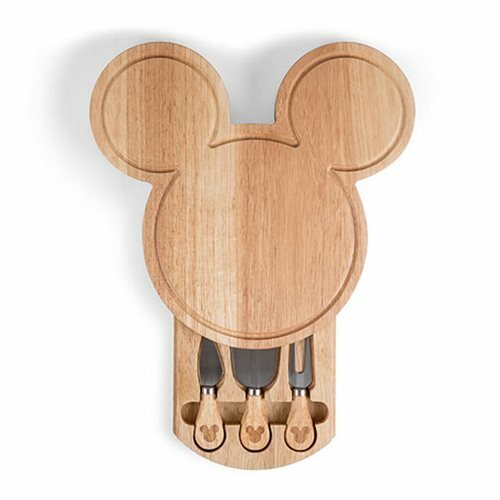 This iconically shaped Mickey Mouse Head Shaped Cheese Board is made of eco-friendly rubberwood. 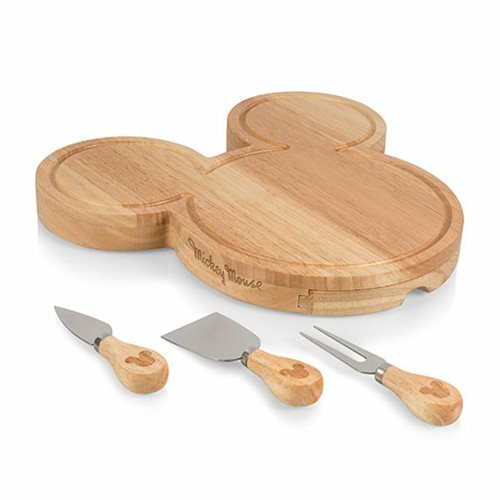 The board opens to reveal three stainless steel cheese tools with rubber wood handles. Impress the Fabulous Five (or more for your parties). 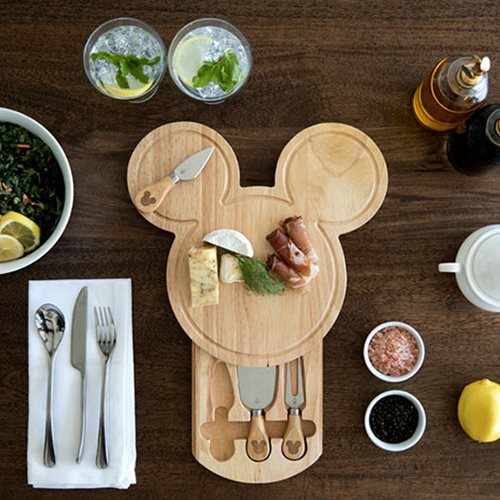 Ears to you! 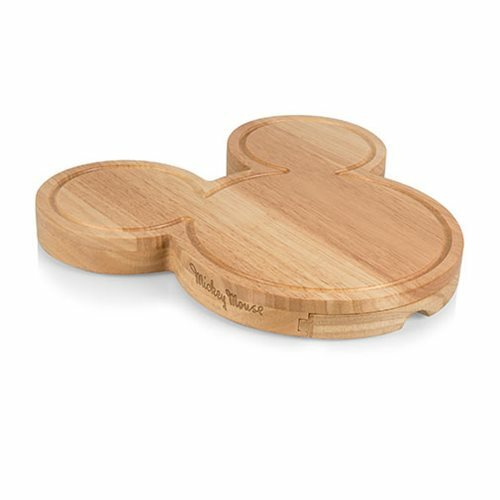 A perfect gift for all the Disney lovers in your life. 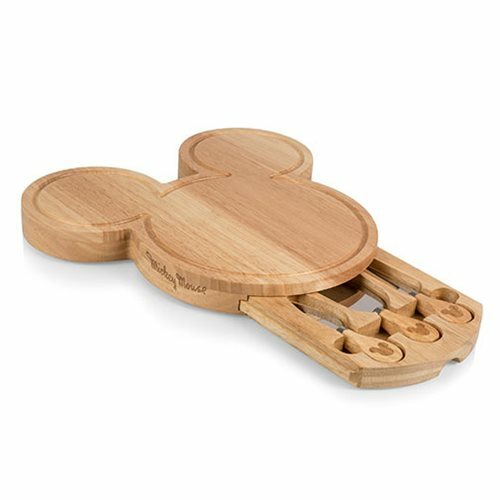 Measures 12 1/2-inches tall x 12-inches long x 1 1/2-inches wide.